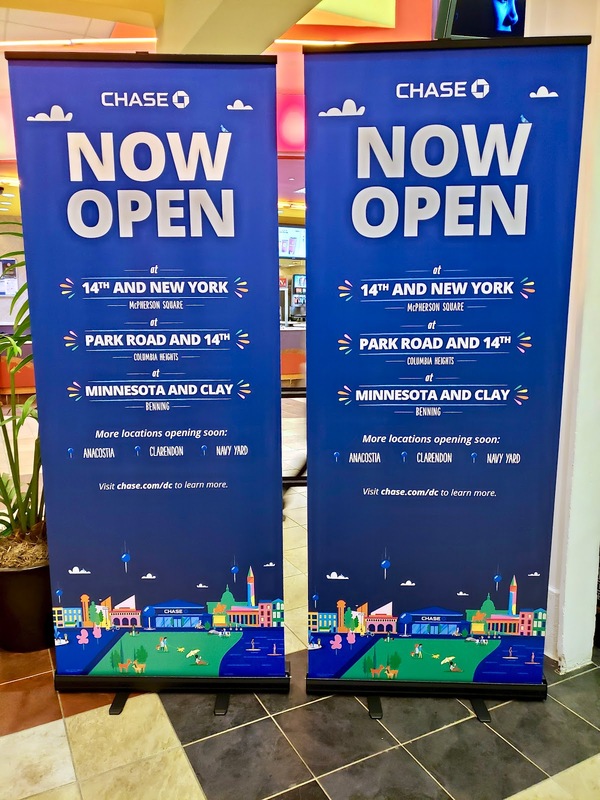 With four new branch locations (and more opening soon), Chase making its mark in Washington, DC. 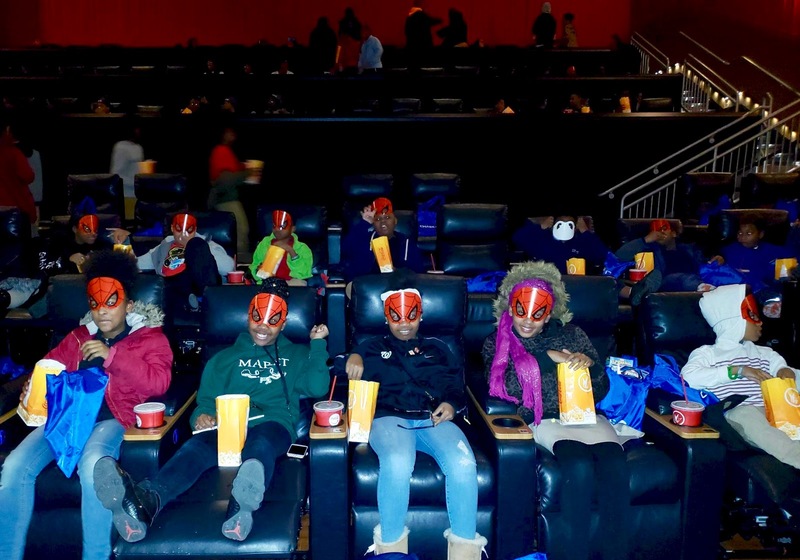 And by continuing to make its presence known, Chase is giving back to the city in various of ways. 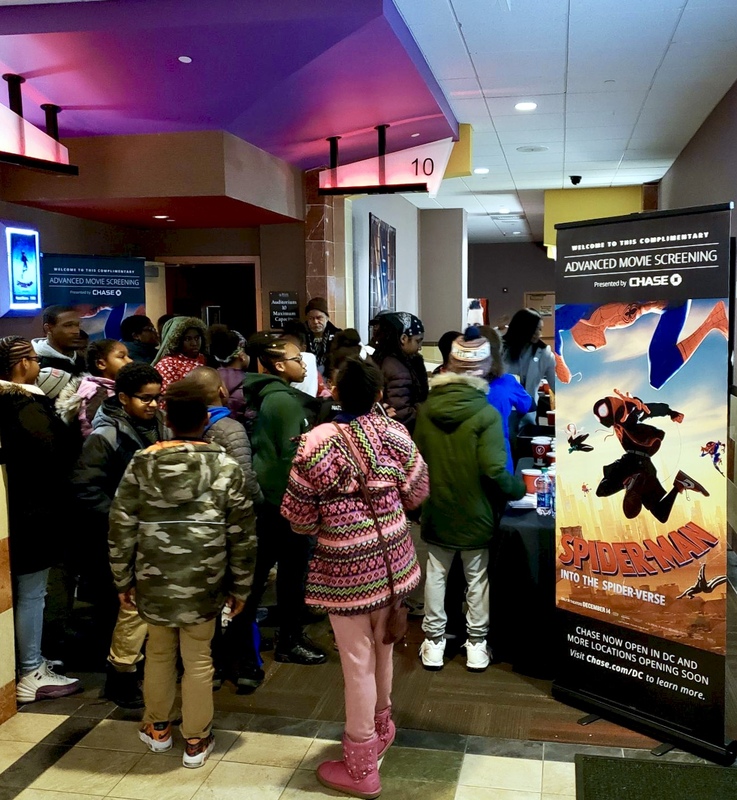 Such as renting out a theatre space for the Nats Academy and two clubs from the Boys and Girls Clubs of DC to watch an advanced screening of Spider-Man: Into the Spiderverse. 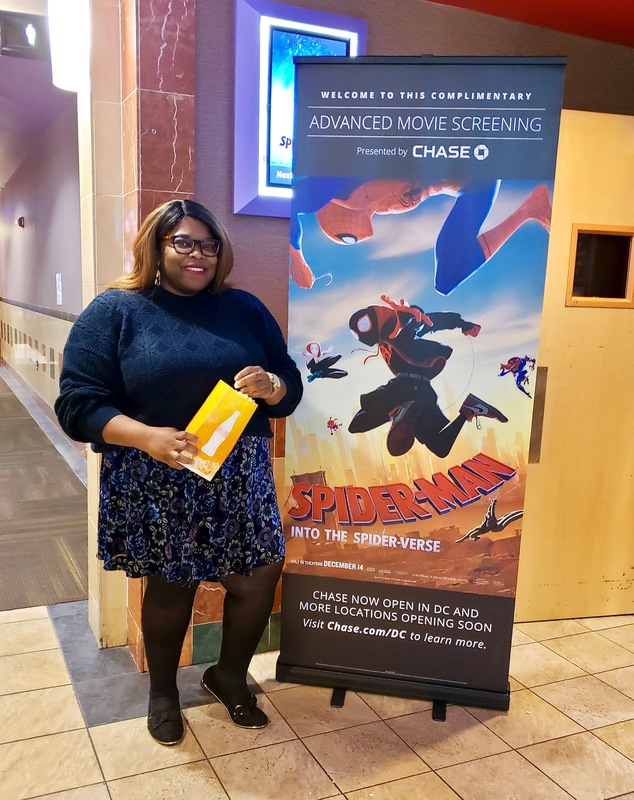 Chase wants the Greater Washington area to know how committed it is in ensuring local people are getting the right training to gear up towards securing their future. Chase also wants to see local entrepreneurs creating small businesses in the region. 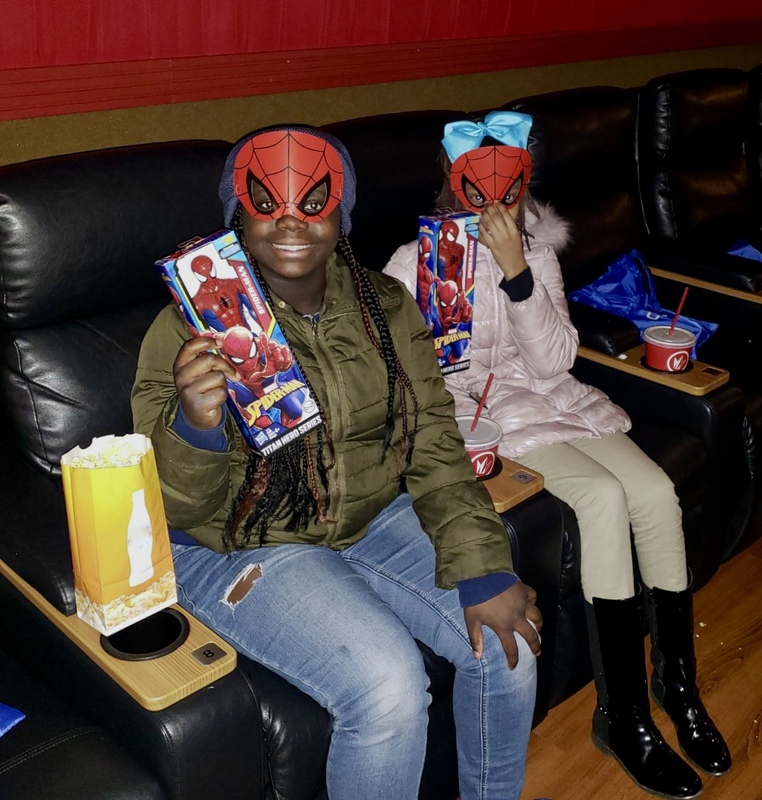 The kids got to enjoy free popcorn and drinks plus a Chase gift bag filled with Spider-Man memorabilia including toys, headphones, a coloring book, and a mask. 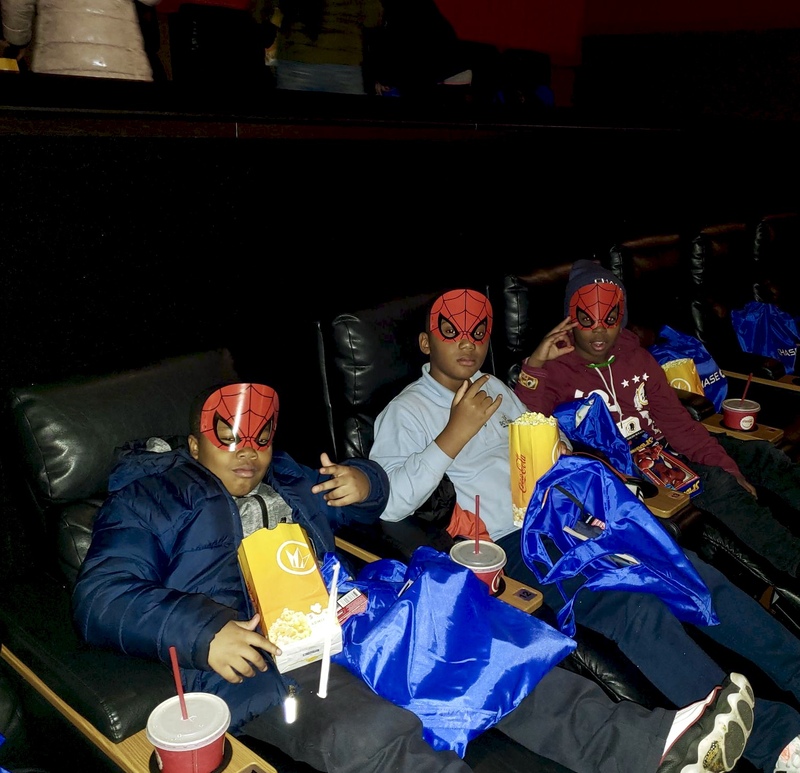 Kids being kids, the masks were a big hit! Speaking of the movie: while I'm of a TV lady, I do love a good animated movie. And this movie is not even a good one - it's a GREAT one. Such an enjoyable treat for all ages. Please go and watch! 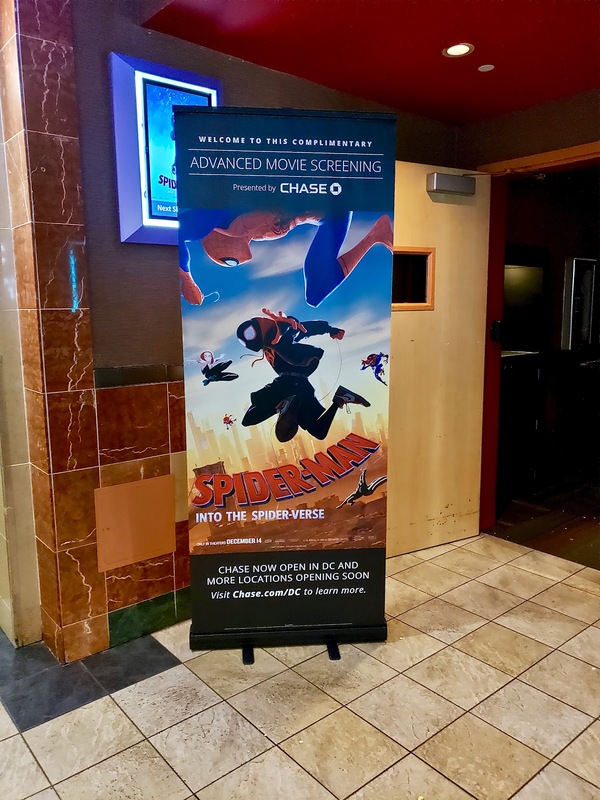 Thanks again, Chase, for a wonderful time at the movies. It's been such a pleasure seeing up close how much Chase cares for the Washington community.